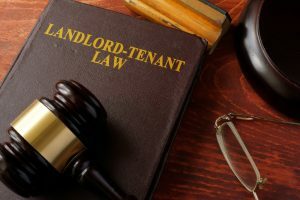 Generally, in the absence of an express agreement between the landlord and the tenant, any type of personal injury claim brought against a landlord by a tenant typically is no different than any other form of negligence in a suit to recover damages, according to landlord tenant laws. Typically the injured tenant has the obligation to prove that the landlord owed a duty of care and has the duty to prove that there is sufficient evidence to warrant a finding that the landlord violated that duty. Under landlord tenant laws and regulations governing the Commonwealth of Massachusetts, when proving a duty and a breach of that duty, it’s important to first determine whether the landlord violated any statutory duty, including any violation of any Massachusetts Code of Regulations. If there has been such a violation, this violation may be used as evidence that the landlord was negligent. Generally, a violation of a statute or a regulatory code is not conclusive evidence of negligence, but, depending upon the circumstances, may act as some evidence of negligence. Often in bringing a claim against the landlord in accordance with tenant landlord laws it is imperative to first review any written agreement between the landlord and tenant, such as a lease or rental agreement. This will help determine whether bringing such a claim is worthwhile. Other issues which serve as the basis of this type of litigation under landlord tenant laws center around who controlled the premises at the time of the accident, including who controlled that portion of the premises where the injury occurred. Issues of control may sometimes involve not only the landlord, but a management company or some-third-party which may be responsible for the maintenance of the property, and may have actually caused the defect or may have allowed the defect to exist prior to the injury. Further complicating these types of claims under landlord tenant laws are variables such as whether the tenant caused his or her own injury so that even if the landlord may have been negligent, the tenant may have been more negligent in causing the injury. This is known as comparative negligence and is a common defense to any claim brought against a landlord. Before bringing any type of claim against a landlord it is imperative to assess whether the injured party was at fault, or in other words, was comparatively negligent themselves.